Alexa Bartlett - Auckland Marriage and Civil Union Celebrant , Riverhead Point Riverhead, Auckland. 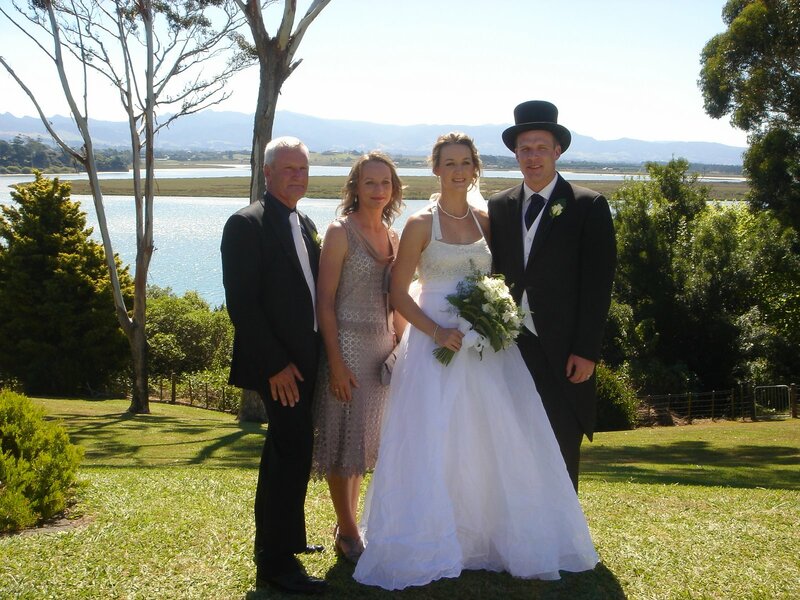 : Top Hat & Tails: Tauranga Wedding. 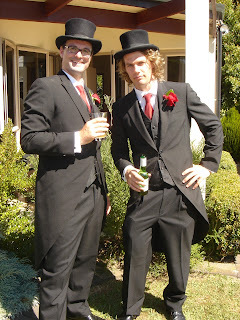 Top Hat & Tails: Tauranga Wedding. Top hat and tails completed this wedding of Angela and Anton. It was held in the beautiful grounds of Angela's parents home overlooking an inlet of the Tauranga harbour. As they were both living in Dubai while organising their wedding, most of their planning was done with the use of skype. It was a pleasure to design and deliver a ceremony for this happy couple.